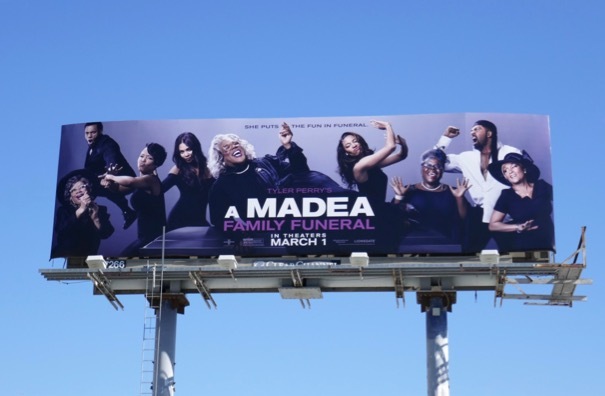 Dearly beloved, we are gathered here today for the latest installment in Tyler Perry's Madea comedy film franchise, A Madea Family Funeral. 'Mabel "Madea" Simmons' and the crew travel to the backwoods of Georgia for a funeral and maybe more than a few unsavoury family secrets. 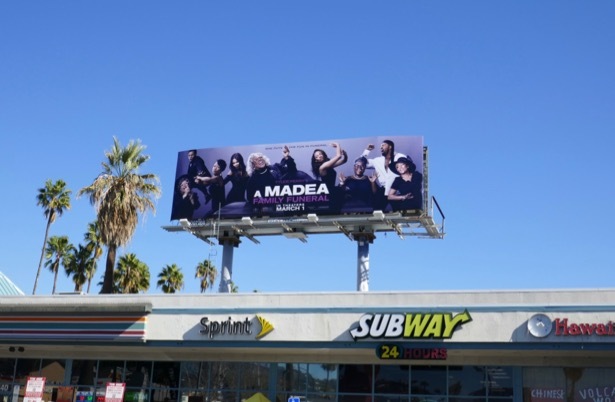 The new funeral-themed movie billboard was snapped along Sunset Boulevard on January 23, 2019, whilst the bonus film billboard for Madea's Witness Protection was spied in L.A. on June 7, 2012. 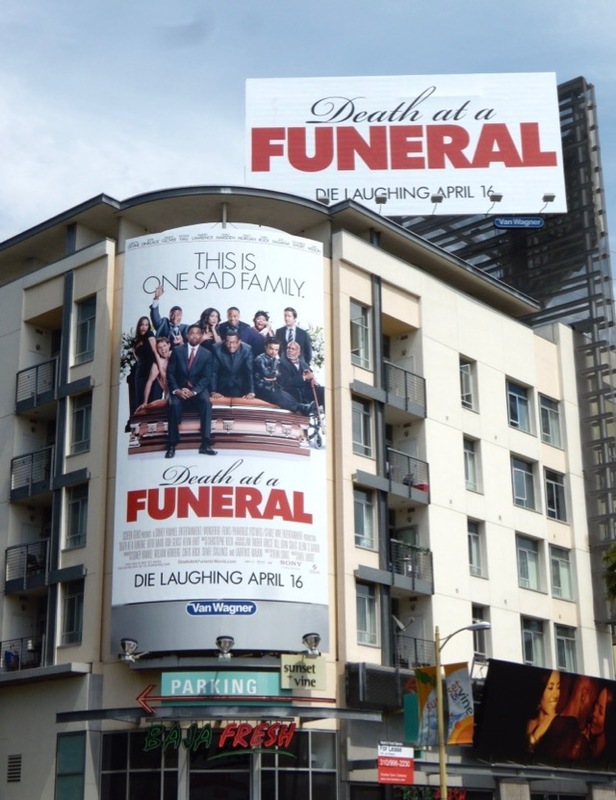 Plus for a similarly-themed comedy (who knew death could be so funny), here's also a duo of billboards for Death at a Funeral captured at Hollywood's Sunset & Vine on April 2, 2010. 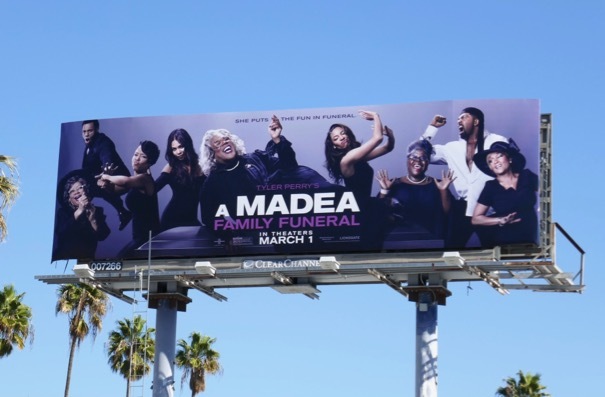 Fans of Tyler Perry's tough-as-nails elderly black woman alter-ego can also check out all these other Madea movie billboards from recent years. 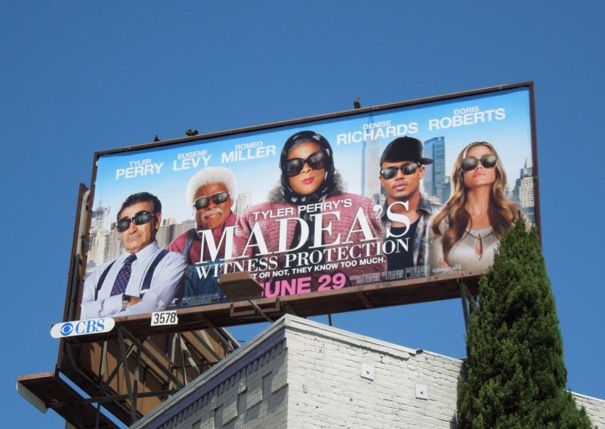 Oh, lort, is this the end of the road for Madea? Oh hell no, say it ain't so.